Pitt will roll out a survey on student drinking habits this semester and host a panel to teach other universities about easing tensions between students and nearby permanent residents. The Community Relations Committee of the University Senate announced these projects Tuesday in the Hillman Library at its first monthly meeting of the year. According to the Committee, which is composed of a student, University and community representatives, Pitt will launch the survey sometime in February and will host the panel Jan. 28. The panel is part of a weekend conference focused on encouraging communication between students and external organizations, such as the local government. Pitt has not announced who will attend the panel but expects about 20 guests from universities, local organizations and local police departments. After receiving a $34,000 grant from the Pennsylvania Liquor Control Board in June, Pitt will launch a new student survey focusing on student drinking habits next month. Pitt will use the survey results to supplement Pitt’s current AlcoholEdu program and create online modules outlining the dangers of binge drinking. According to Wilds, the city police are under “tremendous pressure” from local residents to issue more citations to students, particularly in response to “informal parties.” Permanent South Oakland residents have voiced these concerns to police at recent Oakwatch meetings, which serve as a sort of community forum for people who live in Oakland. The January panel, focused mainly on improving communication with community groups, will discuss Pitt initiatives, such as the University’s connection with Oakwatch. 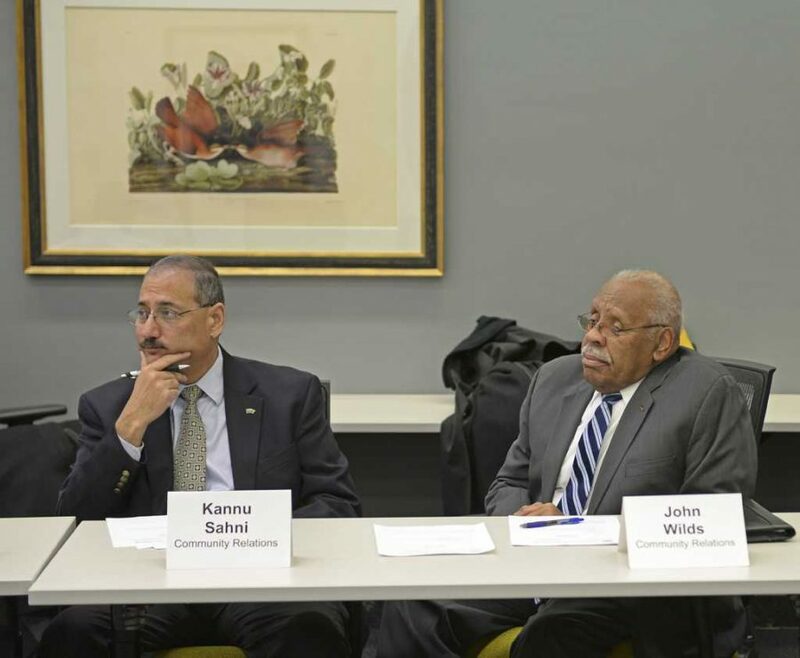 “Essentially, we want to create, on a national level, guidelines that various universities and governments will be able to follow to have this kind of interaction,” Kannu Sahni, Pitt’s director of community relations, said. Pitt will partner with the Responsible Hospitality Institute, a nonprofit promoting safe and profitable public spaces, and the International Town Gown Association, an organization that helps universities work with the communities around them, to host a panel on Jan. 28 to discuss ways to bring a similar structure to other college campuses. Sahni, Councilman Bruce Kraus and co-chair of Oakwatch Hanson Kappelman are representing Pittsburgh on the panel. According to Sahni, RHI and ITGA have planned the next panel for March in Charleston, South Carolina. While Sahni and Wilds are focused on the dangers of underage drinking, co-chairs of the community relations committee Linda Hartman and Pamela Toto are looking at the safety of pedestrians and bikers on the roadways. Hartman, reference librarian for the Health Sciences Library System, said students and community members need more education on the hazards of biking. Wanda Wilson, executive director for Oakland Planning and Development Corporation, suggested a type of “ticket cam” or ticket simulation in which students hand out papers in situations where a driver could have been issued a ticket, such as speeding or running a red light. In other action, Paul Supowitz, vice chancellor for community and governmental relations at Pitt, announced that the Oakland task force will begin construction on a new bus stop cover this summer in South Oakland. The cover, made of glass with white poles, will be on the corner of Fifth Avenue and Atwood Street and will remain open for pedestrian traffic.